I love a good crusty chewy bagel. YUM. I also love a fantastic cruller (look that one up, it's the May superstar...just in time for Mother's Day!) Or how about pizza that isn't pizza, but is Potato and Red Onion Focaccia? Or the only brownie recipe you will ever need? Or the ombre cake that will wow and impress for every special occasion. We've done them all in this one amazing little recipe calendar. A fantastic Cheese, Tomato and Onion Tart with amazing pastry. 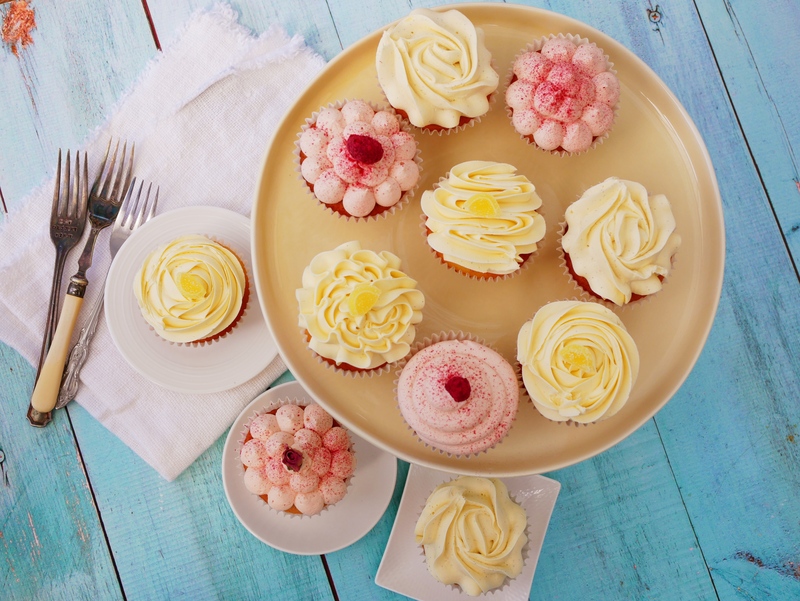 Vanilla Raspberry and Lemon Cupcakes. YES PLEASE! Chicken Chalupas...yes chalupas...you will cha-love them! Traditional Pumpkin Pie which also appears in Tenina's America, but was worth a second printing. It is SO good. I love it! Apple Strudel. FROM SCRATCH. We are talking the best pastry ever. Crazy pastry skills here that you will just love having learnt. In fact, this stretching pastry thing may end up on the insider club videos list. It is fun. Macarons. The end. The best macaron recipe for Thermomix ever created. You cannot go wrong. You can't. And we made little Christmas trees out of them. TOO cute. You are going to want the calendar just for this recipe! And then of course we have the 13th month surprise. We do have more than 13 recipes in the glossy offering as well as a Very Fun shipping surprise. You'll going to love it and I am expecting it to show up on social media all over the place! NOW, to the nitty gritty. There are THREE ways to get your hands on this. We have only printed a very limited supply so each of these offers are only while stocks last. FIRST up: If you are an Insider, you will be given instructions to get your calendar during October for just $7 including shipping. If you are not an Insider, it is time to join us; tenina.com/join Seriously, do it. No regrets! SECOND: You can get it for FREE. You just need to spend $50 or more in my store, add the calendar to your shopping cart and then use the code 13MONTHS before checkout. 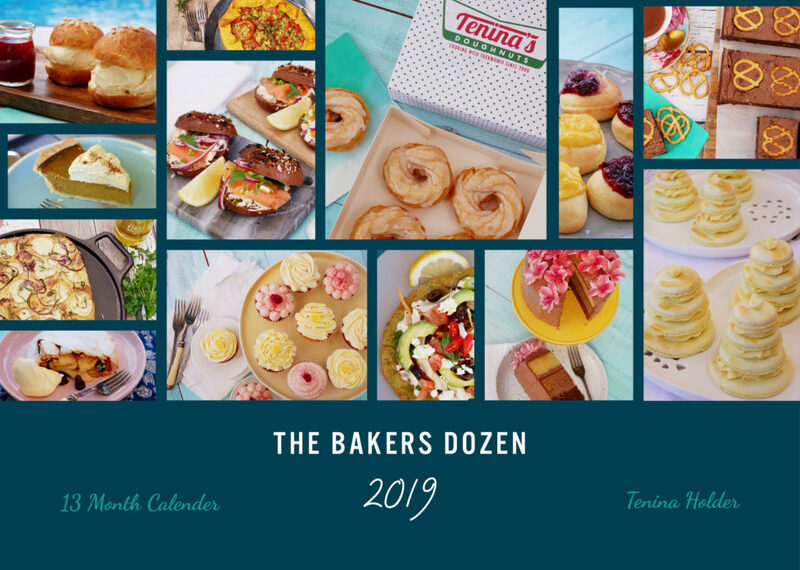 This will give you ONE calendar for free...so buy 4 and get one FREE. Perfect! 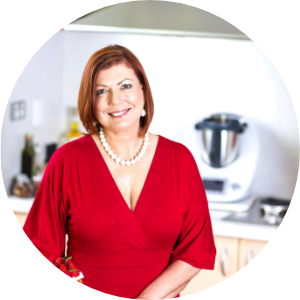 Christmas pressies for your Thermomix owning peeps, sorted! THIRDLY: You can of course purchase it as per any other product in my store. It is $20 and includes shipping to Australian addresses. A fantastic gift for you, your mum, sister, bestie, kids teachers, colleagues, rellies, neighbours. The gift that gives all year round. It will become like I said, a handy baking reference cookbook, long after the year has ended. Don't delay, like I mentioned. We have a very limited stock available. So get clicking!! Happy 2019...dare I breathe that number?? ?